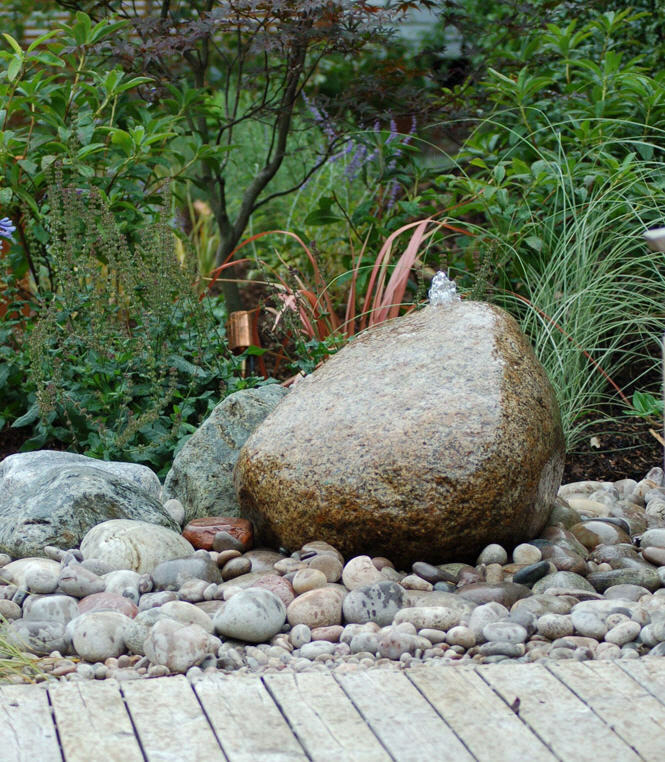 Rounded pebbles collected together are popular as a base for water to trickle over. (These are widely available from garden centers so please do not collect them from beaches.) 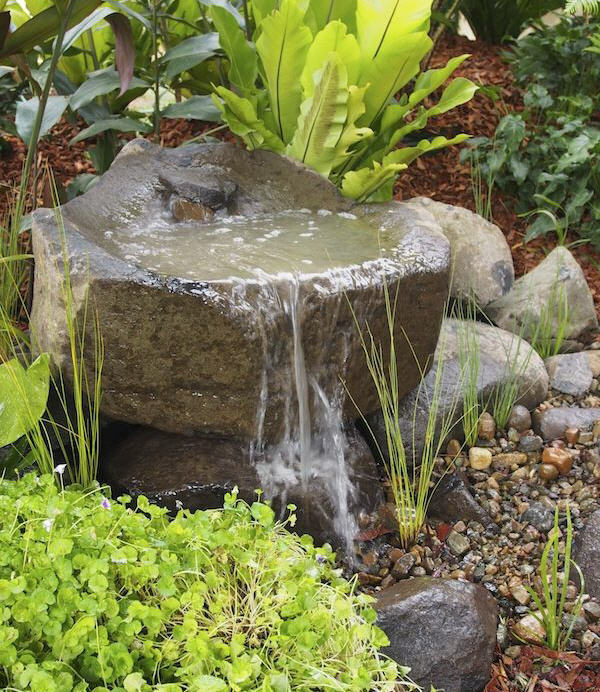 A cobble fountain is simple and pleasant and does not need a pool. The effect relies on the sound and movement of water splashing over the stones into a reservoir, which is constantly recycled. You will need a tank large enough for a submersible pump and holding enough water to cope with evaporation from the surface of the cobbles on a sunny day. The size of the reservoir will depend on how often the system is topped up — it need be no bigger than a plastic bucket. 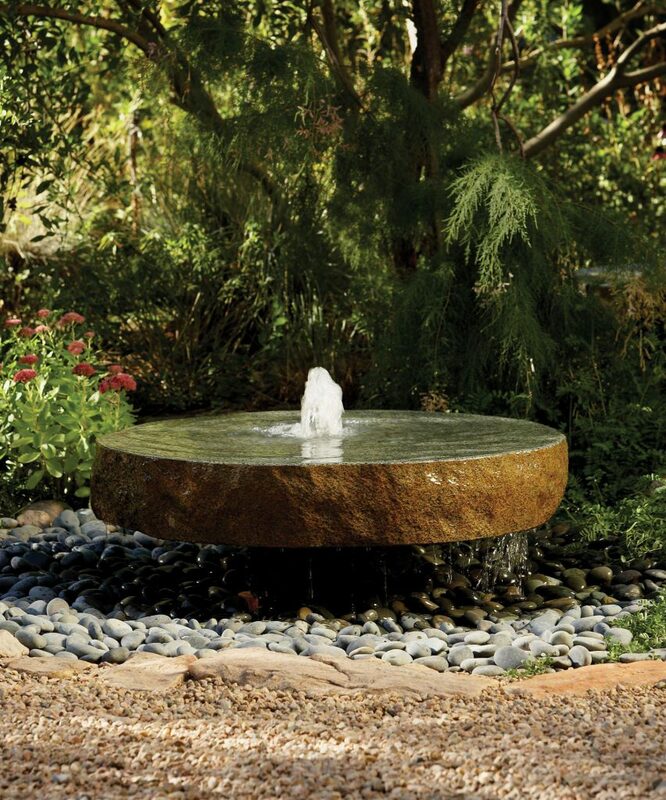 A large millstone has a strong architectural impact so should be carefully placed where it will balance some other strong water feature. The water falls over the side of the stone and is collected in a reservoir below; again, no pool is required. A geyser jet can be used to introduce air if you want a more turbulent effect. 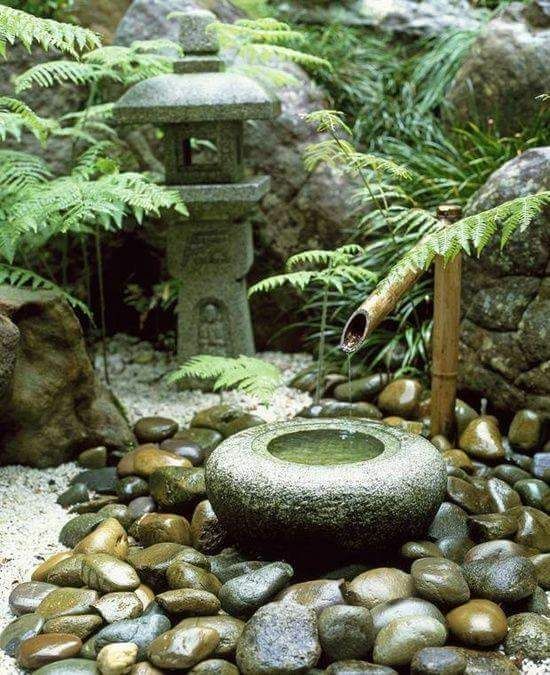 In Japanese gardens, bamboo canes are used as spouts. Balanced on an upright, the cane fills up with water, tips it out on to pebbles below, then starts all over again. some people find the regular filling and emptying peaceful, others find it monotonous.